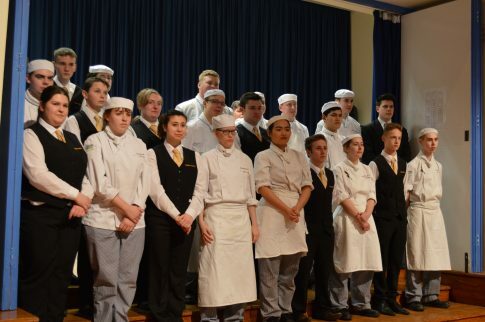 Diners at a fundraising dinner organised by Brockenhurst College raised £4,500 last Monday evening to finance a national chef competition to be held at the College in May. 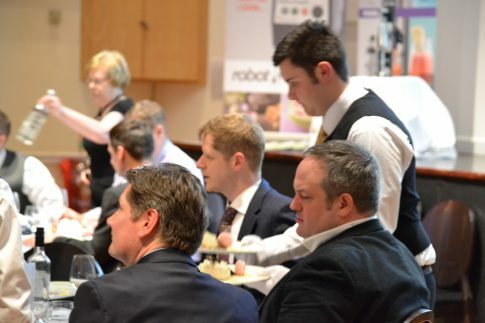 More than 120 people from across the hospitality and catering sector attended the event, including representatives from top-rated hotel establishments and industry bodies. 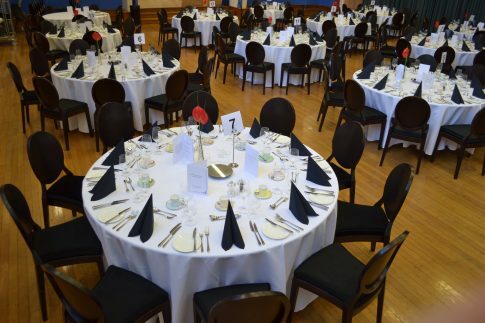 Well-dressed tables for ten, supplied free by Allens Catering Equipment Hire, sold for £450, while individuals could buy tickets for £50. There was also a comedian and a live auction. Guests were treated to a three-course dinner, which was preceded by canapes prepared by Omero Gallucci from the Craft Guild of Chefs. A seafood starter, made by Gary Kilminster from Essential Cuisine, was then followed by a main course of Dingley Dale pork fillet en croute, cooked by Craft Guild of Chefs Vice President Steve Scuffell and Tony Leck from The Pavilion Restaurant in Guernsey. Diners then tucked into a dessert of lemon soufflé on lemon shortbread, prepared by Taff Davies from the Combined Services Culinary Arts Team and Allan Collier from the College’s Cookery School. Hospitality students from the College took the opportunity to work alongside these big names to gain valuable experience and ensure the function ran smoothly. 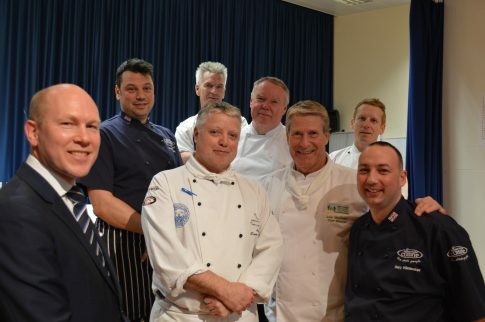 This May’s cooking competition, known as the Wessex Salon Culinaire, is organised by the College’s Head of Hospitality John MacArthur in association of the Craft Guild of Chefs. Previous Culinaire events have seen over 500 participants, with a total of 700 class entries, as well as chefs travelling from as far away as Liverpool and Hull. Hospitality student Tom Maginness said: “I was pretty nervous working alongside top chefs for paying guests, but it went well in the end. “It’s events like this one, and of course the Wessex Salon Culinaire itself, that make Brock a special place to study hospitality,” he added.